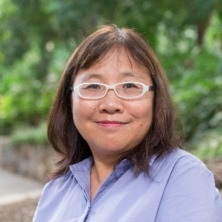 Dr. Wei’s major research interests are global environmental change, sustainable water resource management, and interaction between human system and environmental systems. Dr. Yongping Wei is Associate Professor and ARC Future Fellow, School of Earth and Environmental Science, the University of Queensland. Before joining the University of Queensland in 2016, she was research fellow, senior research fellow and principal research fellow at the Department of Infrastructure Engineering, the University of Melbourne during 2008-2015. She had 11 years working experiences as an Irrigation Engineer then Water Manager in China in her early career.